Full House reunion coming to Netflix? Ebola has gone viral. Listen to the guys discuss it and the other famous pandemics of our time. Don Rumsfeld was not liked by Henry Kissinger. The new American Sniper trailer has been released. Michael Keaton is poised for a comeback. And the song of the day. House of Cards is a political drama television series (strictly to Netflix). It is an adaptation of a previous BBC mini-series of the same name. 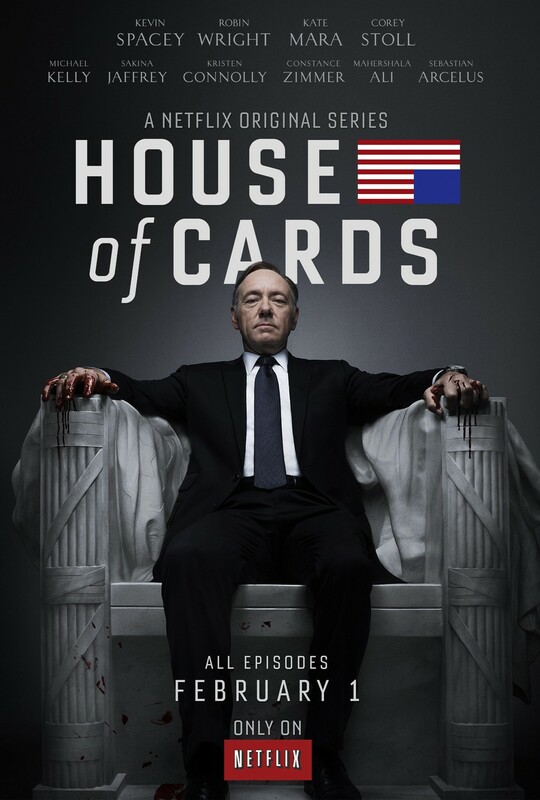 Set in present-day Washington, D.C., House of Cards is the story of Frank Underwood (Kevin Spacey), a Democrat from South Carolina’s congressional district and House majority whip who, after being passed over for appointment as Secretary of State, initiates an elaborate plan to get himself into a position of power. The series is primarily about ruthless manipulation, power and doing bad things for the greater good. The series also stars Robin Wright. They have done two seasons and have been renewed for a third. As for the show itself, I can’t sum it up any better than by saying it’s incredibly good to watch. The one aspect of the show I enjoy the most is the monologue, or removal of the fourth wall, between the viewer and Underwood. It’s an incredibly effective method of storytelling as well as the expression of emotion or opinion, and Kevin Spacey does a superb job at pulling it off, along with every other aspect of his complex and intriguing character. The quality of writing, directing, and storytelling is as good as you’ll ever see on one of the best shows in the world right now. Underwood has a massive ship to steer, and it is fascinating watching how he does it, through manipulation, blackmail, greed and determination. Each and every character has a critical role to play – there are no characters you could cast aside as being irrelevant or unnecessary to the story. That is a very difficult feat to achieve, and House of Cards easily passes that test.